The new facility will house approximately 1,200 undergraduate students and resident staff, along with amenities, including lounges, study rooms and outdoor spaces. The facility will have 11 Houses – residential communities of students that foster close academic and social networks throughout a student’s time at the College. Much like the College’s award-winning Campus North Residential Commons, the Woodlawn residence is projected to offer single and double rooms, private apartments with kitchens and bathrooms for students who want greater independence, and common areas in each three-floor House to foster community and intellectual exchange, which are inherent to the College’s culture. The facility also will accommodate Resident Deans — faculty members who provide guidance and leadership to the staff and residents of College Houses. Boyer also noted that the College faculty have long advocated that a higher percentage of students should live in modern, high-quality housing on the central campus, and that they have seen this as a major determinant for the future success of the College. As a faculty committee on the future of undergraduate housing chaired by Professor Lloyd Rudolph of the Department of Political Science concluded more than 20 years ago, housing influences well-being and quality of life, which are essential components of effective higher education. Today, this belief remains foundational to the development of student residences on or near the main campus. From a community perspective, the facility will provide new job opportunities and amenities. In addition to its primary role as a dining space for students, the dining commons will be available for public use. Bon Appétit Management Company, which runs all residential dining commons at the University, also will hire permanent and temporary staff for the new dining commons. 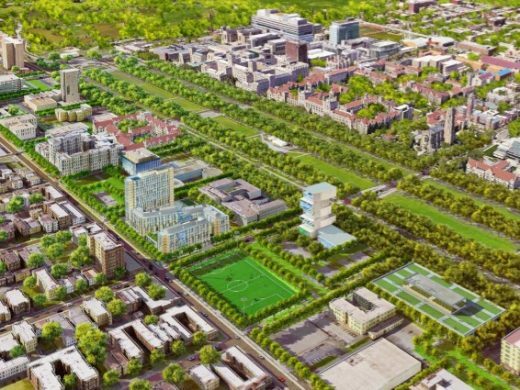 Thirty-five percent of the work will be allotted to women and minority-owned entities and 50 percent of employees will come from local South Side communities. 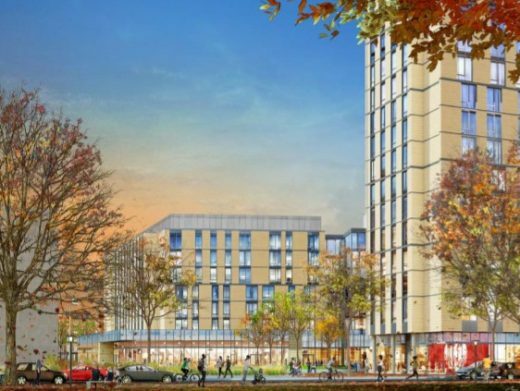 Similarly, Turner Construction Company, which will construct the project, has committed to the University’s expanded goals for diversity and local hiring on capital construction projects. This includes increasing participation of certified, minority-owned contracting firms from 25 percent to 35 percent, women-owned firms from 5 percent to 6 percent, and raising the proportion of onsite construction workers who live in the City of Chicago from 30 percent to 40 percent. The firm of Elkus Manfredi Architects is designing the facility. 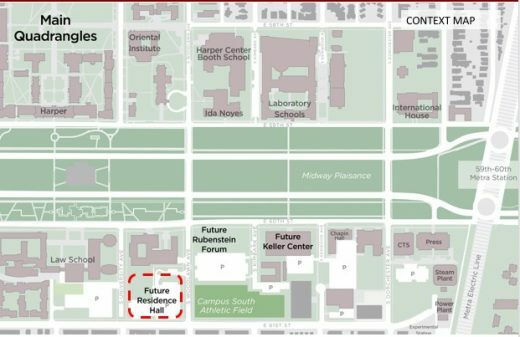 To allow the University to develop the commons without taking on new capital investment, a private developer team of Capstone Development Partners and Harrison Street Real Estate Capital will develop, provide the capital, oversee the design and construction of the project, and thereafter assume responsibility for upkeep of the new residential and dining commons after construction is complete. Once open, the facility will be managed like all other residential and dining halls on campus, with oversight provided by the University, Housing and Residence Life staff, and College Resident Deans. 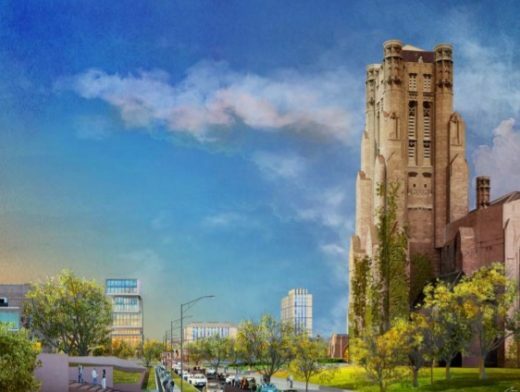 “We are delighted to partner with the University of Chicago to build the Woodlawn Residential Commons,” said Jeff Jones, Principal, Capstone Development Partners. “At Capstone, our strength is collaboration. We look forward to working with University leaders to expand residential College environments proven to foster students’ connectivity and academic success. Construction is anticipated to begin in the summer of 2018. Additional related details will be available at that time.